I have finally figured out how I like to eat on the mornings before I run or have a morning workout. I just have to share a new product that I have found and I love. 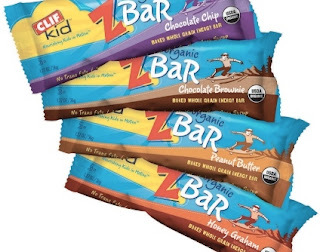 My new find, a Z Bar by the makers of Clif Bars. I have enjoyed Clif bars for years but they just seemed to big for pre-run food. These Z Bars are a wonderful compromise. They taste great, have about half the calories and don't fill up the belly to the point that is uncomfortable. Some days I actually eat about half before my run and then eat the other half for the afternoon snack. I just had to share my new find because I just know you will love them too....especially if you like the original Clif Bar.